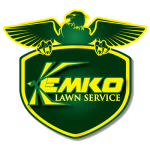 Finding an Atlanta lawn services specialist you can trust is as easy as calling on Kemko. For more than 30 years, we have been helping your friends and neighbors enjoy some of the most beautiful, green, healthy, and weed-free lawns in our area – and they spend their time relaxing and playing in their yards, not working on them. Kemko's lawn services packages provide the right fertilization, weed control, and pest control for your Loganville GA grass. Our affordable, friendly, and professional services make it easy for you to enjoy your yard more this year than you ever have before. We have used Kemko for the last 6 years when my lawn was in such bad shape. It is still looking great and whenever I have any questions the staff is friendly and very helpful. They have the most reasonable prices and they don’t push sales on other services on you. I have recommended them to friends and they have also been extremely satisfied. As a family-owned and operated business, we know how important safety is to our customers. That’s why we use only EPA-approved materials to take care of your yard and help it to thrive. Winter application of balanced nitrogen, phosphorous, and potash. Broadleaf Weed control. Does Your Yard Make You Smile? You work hard all week, and want to enjoy your yard when you’re home. Our goal is to help you create the kind of weed-free, strong, healthy, thick, and lush yard that makes you want to sit in the grass like you did when you were a kid. We know the last thing you want to do with your free time is spend it treating your yard – and hoping you’ve done it right. With more than three decades of experience caring for our friends’ and neighbors’ yards, we’ve got the knowledge, tools, and know-how it takes to make any yard beautiful. Of course, we’re fully licensed and insured, too – and that means you can relax, knowing your grass will be cared for responsibly. Ready to Quit Sweating Over Your Yard? Our lawn services packages provide the right fertilization, weed control, and pest control for your grass. Our affordable, friendly, and professional services make it easy for you to enjoy your yard more this year than you ever have before.